Day Two of StarChefs kicked off with the amazing Somm Slam, easily one of the best events of the congress where top sommeliers battle it out in a head to head wine and food pairing challenge. The competition inside the circle was fierce but outside things were heating up as well at Eat@ICC featuring the theme All in The Family. 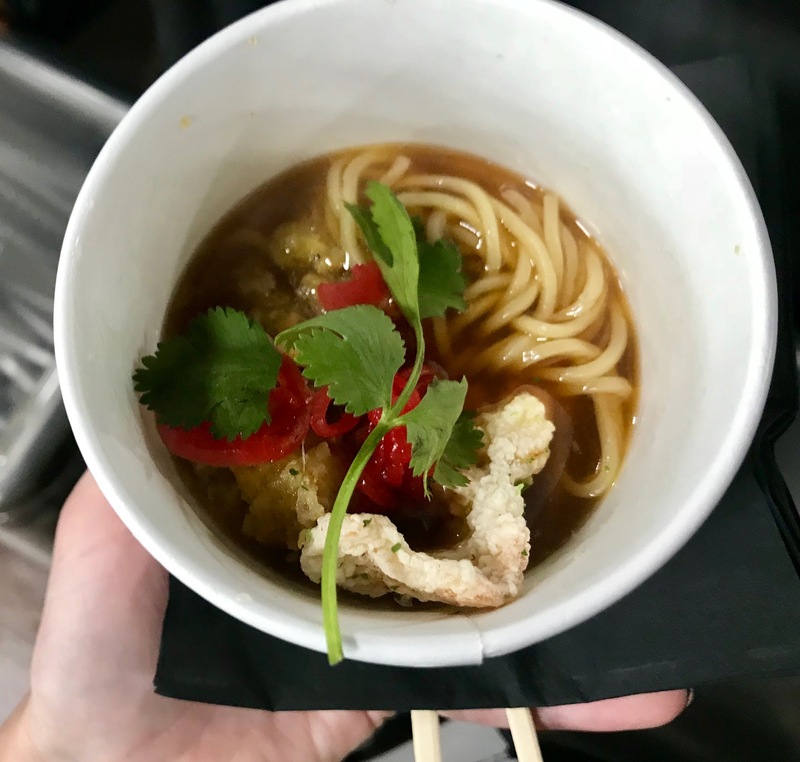 ...while local Chef Christopher Rendall of Flinders Lane created a homey coconut curry broth with thai basil, laksa and chunks of Glacier 51 Toothfish. ...while Chef Kwame Williams of Vital Dining went back to his Jamaican roots with a crispy Cod Cake served with ackee, stewed peppers and cassava dumplings. One of my favorite bites of the day were the Braised Pheasant Leg Hand Pie from Chef Ty Leon of Mizuna in Denver. These rich, meaty empanadas were enhanced by a sweet shot of Butterbeer which made all of my Harry Potter dreams come true. Followed by the amazing Coconut Malas from Chef Isa Fabro of Unit 120 in Los Angeles; warm puffy balls of fried dough topped with a sweet toffee glaze and toasted coconut. Chef Isa also made my favorite Filipino Stew at lunch the day before; I can't wait to get out to L.A. and have a full meal from this incredible StarChef. Next up the fabulous Monday night Congress Cocktail!